About 55 litres of diesel fuel that ended up in the water when the Eyelander ran aground has been cleaned up or washed away with the tide, says the Department of Fisheries and Oceans. 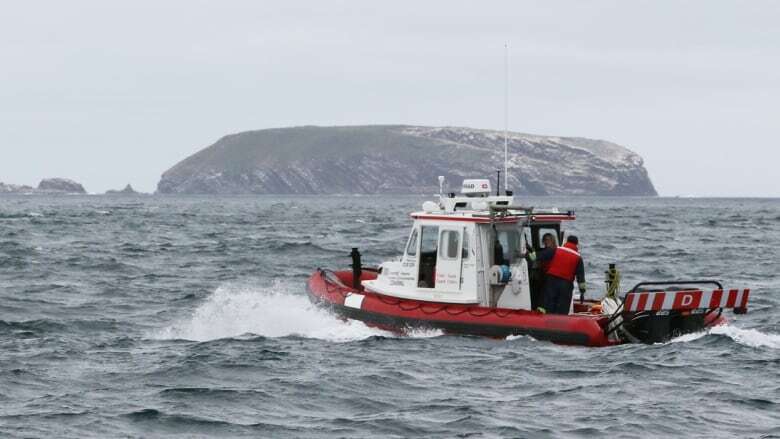 The captain of the fishing vessel than ran aground Friday — spilling diesel near the Witless Bay Ecological Reserve — says the incident was due to "negligence" on his part. Capt. Joseph Swan, who declined an on-camera interview, told CBC News Monday he should have been awake when the incident happened, but it was the rocks grinding against the vessel Eyelander that woke him up. The 35 to 55 litres of diesel from a bilge pump on the boat that ended up in the water have been cleaned up, according to the Department of Fisheries and Oceans. The boat, which is from Fairhaven, Mass., ended up on the rock near Green Island on Friday morning, prompting a mayday call from the crew. All five people on board were transported safely to Bay Bulls by a rescue craft from the nearby West Aquarius oil rig. 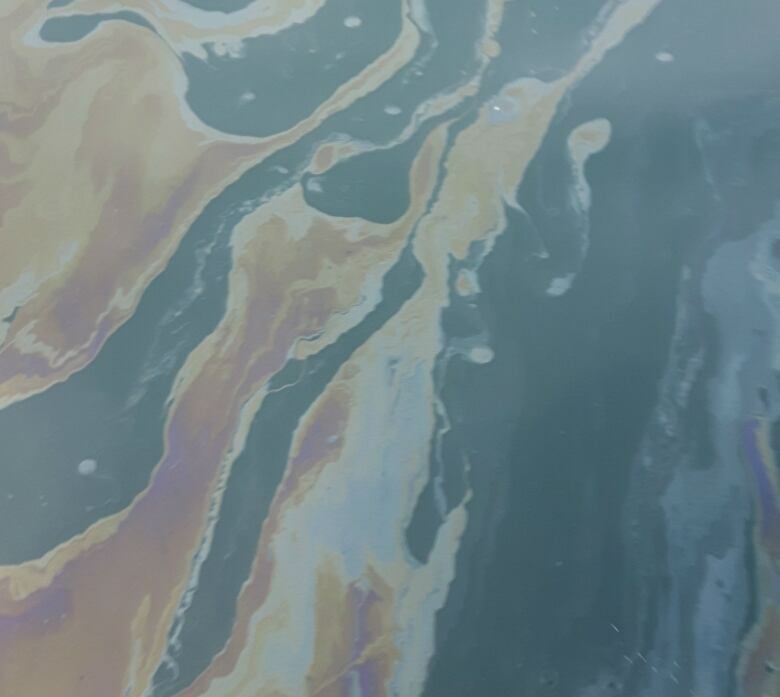 DFO said Monday an environmental response crew with the Canadian Coast Guard had cleaned up the "recoverable pollution" near Green Island, and the remainder of the diesel sheen dispersed due to the waves and tides. The department said two dive surveys have been completed on the Eyelander and additional surveillance flights and surveys support the conclusion that there is no pollution left in the area from the incident. DFO said the vessel is subject to a stop sail order imposed by Transport Canada and a letter has been sent to the owner in order to recoup the costs incurred by the coast guard for its response. A plan is being worked on to tow the vessel for repairs — and get it out of the water in Witless Bay. 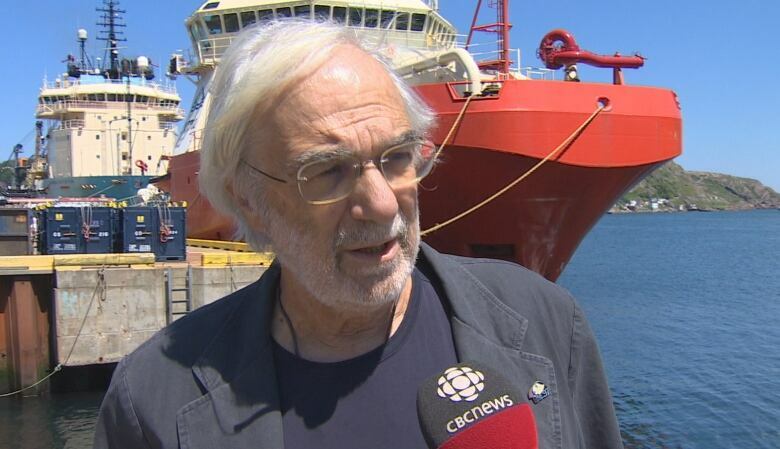 Bill Montevecchi, a seabird biologist, told CBC News Sunday that he isn't sure of the number, but believes birds in the environmentally-protected area were killed as a result of the spill. "This is diesel fuel. It's lighter, so it might not show up on a bird in the way that a heavier bunker C oil would. It's a thinner oil, but it still penetrates the plumage. It still makes the bird not waterproof and it would still lead to hypothermia," he said. Provincial regulations require boats to stay 100 metres away from the islands within the ecological reserve. "To run aground, you're obviously within 100 metres," Montevecchi said. "So my initial feeling is the skipper and the owner of that boat have to be charged for breaking the law about ecological reserves … because otherwise it might just keep happening, and it should not have happened at all," he said.